Don't expect to find the Samsung Galaxy Fold sitting on the shelves at your carrier's local store. More details about the launch of the Galaxy Fold was mentioned in a story printed by The Verge, and it seems that only select retail locations will have the foldable phone in stock. The report quotes Kate Beaumont, director of product, services, and commercial strategy at Samsung U.K., as saying that another press conference related to the Galaxy Fold will be held in April. This event will take place just a few weeks before the April 26th release of the phone. Beaumont added that supplies of the Galaxy Fold at launch will be less than the number of Galaxy S10 units available for that model's March 8th release. Calling the foldable phone a "super premium" device (and at $1,980 it surely is), the executive says that purchasing it will be a "very personal experience," with "intensive aftercare." Samsung isn't saying whether it will restrict the Galaxy Fold to high-end retailers, and more details will be revealed in April. "This is a super premium device, and we want to make sure it has a concierge-like service and experience, so it’s not going to be on display in all stores. You’re not going to see it on the stands, we want to make sure it’s a very personal experience. There will be quite intensive aftercare that goes with it as well. 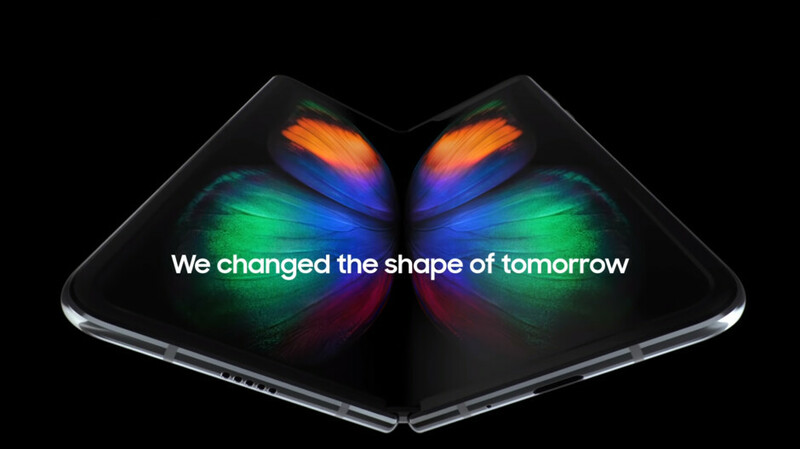 "-Kate Beaumont, director of product, services, and commercial strategy, Samsung U.K.
Samsung chose to have the Galaxy Fold close inwards compared to Huawei's decision to have its foldable Mate X close outwards. Beaumont says that Samsung tried a number of different options, but in the end it decided that having the larger 7.3-inch screen on the inside is the best way to protect the display. She says that "if you have the fold on the outside it doesn’t take quite the same amount of research and development to get that device to fold as it does something that is folding with a much lower angle degree on it." Keeping with the idea that the Galaxy Fold is a special device, it will ship in premium packaging and include a free pair of Samsung's $130 Galaxy Buds. Because Samsung make and supply their own flexible OLED panels. Huawei does not. they buy from BOE. It seems Huawei's, or rather BOE's R&D, comes from Samsung Display itself: https://asia.nikkei.com/Business/Companies/Samsung-supplier-indicted-in-leak-of-OLED-tech-to-China I guess once Samsung works out all the kinks in the foldable display, BOE would have the final version stolen/copied from Samsung. That's why they set the actual release date back to june.. They still need to do lots of work on it. I would say common sense tells you to make it fold inward. exactly...Mate X looks like next gen compared to Fold. Looks heh? Let's see which one scratches more and last longer in the years to come. But the Huawei looks futuristic, lmaooooo. A futuristic paper weight. lol, more a like a toy that creases and bulges compared to an elegant, polished and futuristic product. I can see Samsung showing more maturity here, you cannot sell a fragile piece of gadget to your consumers. Putting that scratch vulnerable screen on the inside is good first step. I agree about folding inward, but the notch has to go. Remember the Note Edge from 2014? Samsung was testing the waters with curved displays that would ultimately become a common design for today's handsets.. It was a limited release just to gauge interest in a curved screen. The Fold is being treated the same way. The second gen device is the real test of where Samsung is on foldable display technology. And Huawei adopted the edge Samsung trend. Cant wait for the galaxy fold 2, that's when the real game will begin. The same was with first iPhone. A lot of us than back still played with BlackBerry and Nokia phones. iPhone was software unpolished, slow, and networked 2G. But that gorgeous "big" screen and touch! I just want to Moto to make that foldable Razr Concept. Looked awesome. Damn, you're so poor in comprehension. I like that manufacturers are trying new things ultimately. But I don’t see folding screens as the next big thing - maybe it’s my lack of interest in the concept - but it seems like an extra unnecessary effort nearly every time you want to use the device. Someone else said on here: the reason why devices didn’t get too far from the original iPhone design (candy bar design) is because practically this is the best design for quick and comfortable use. We still have our PCs even though there are laptops for decades now. We still have our iPads even though the phones are phablets now. I will admit wrong if this will be the next big thing. But I think it will come and gone, just like AR or VR headsets. I’d be surprised if Apple follows this trend. I still think the next big thing will be contact lenses. Just my opinion. Question is how long can this device last? 2yrs? 5yrs? I would buy if can last 5 yrs. This is definitely the future. Just like the trend towards bezeless display to maximize screen estate while maintaining the smallest footprint possible. This will be no different. I don't want to carry a smartphone and tablet. Soon this can do both and possibly even replace a laptop too, all in tiny device. I love tech.